Become a Yoga Teacher this summer! It’s time to share your experience and take your practice to the next level and become a Yoga Teacher!! Barkan Method Hot Yoga Teacher Training! Join Jimmy Barkan, master Hot Yoga teacher and creator of The Barkan Method! 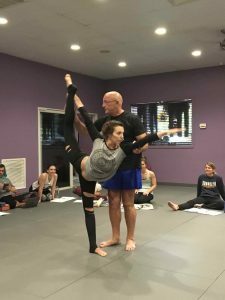 Jimmy’s experience in teaching for over 37 years, along with his experience as a performer on stage, helps him direct trainees to become better communicators and yoga teachers.